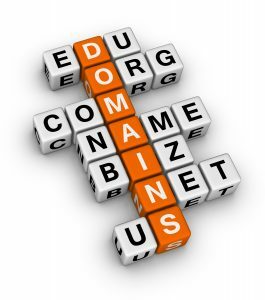 We provide all aspects of domain name services. As a registered registrar and reseller of domain names, we can register, manage, transfer, redirect and/or configure a domain name to a client’s specifications. Our domain name services are offered as a compliment for our website design and hosting services. Buy domains that are easy to type and remember because you don’t want someone having to struggle with finding you or misspelling a word and getting sent to a different site. Keep your domain name as short as you can. Stick with .com if possible. Because this is the most common extension there is and most people will assume to end it with .com when typing in your domain name. And this could be the difference between then being sent to your website or someone else’s website. Avoid numbers. People can easily be confused with whether its “1” or “one”. If possible, buy all the domain names that’s close to yours. Buy your name in .com as well. 10% of successful negotiation price.